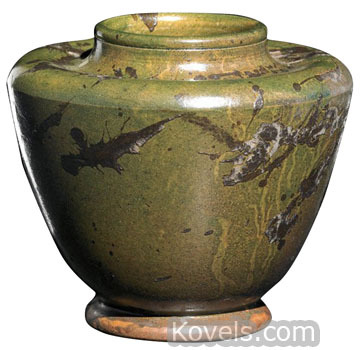 Roblin Art Pottery was founded in 1898 by Alexander W. Robertson and Linna Irelan in San Francisco, California. The name Roblin is a combination of the founders names Robertson and Linna. The pottery closed in 1906. The firm made faience with green, tan, dull blue, or gray glazes. Decorations were usually animal shapes. Some red clay pieces were made.